My interview with singer Tanya Martinez started out interesting. I met up with her at Ruta Maya on South Congress, a normally quiet coffee shop in South Austin. But that weekday night, a band set up shop and we found ourselves finding quiet within the confines of my car. Tanya laughs easily and didn’t mind settling into my passenger side seat to talk to me about life and her band Bocastria’s latest album, Texicana. What the album is though, is journey through the band’s style, ranging from rock to Ranchera to Tejas Reggaeton. Tanya makes no apologies for how band’s music comes across, especially when it comes to language. Tanya and her sister and harmony vocalist Maddie Briones are San Antonio natives, but the whole band has roots in Texas. Drummer Nathan Cardenas and guitarist Buddy Villanueva hail from West Texas and bassist Kenneth Null calls Houston home. So, how did they come together in the Capital city? I mean there is even a Bocastria Day here in Austin, May 17th as proclaimed by Mayor Will Wynn in 2007. “Synchronicity,” Tanya laughs. Tanya and Nathan were dating–they are now married– while attending UT for a second degree in Cultural Anthropology and Nathan and Buddy had been playing music together since high school. 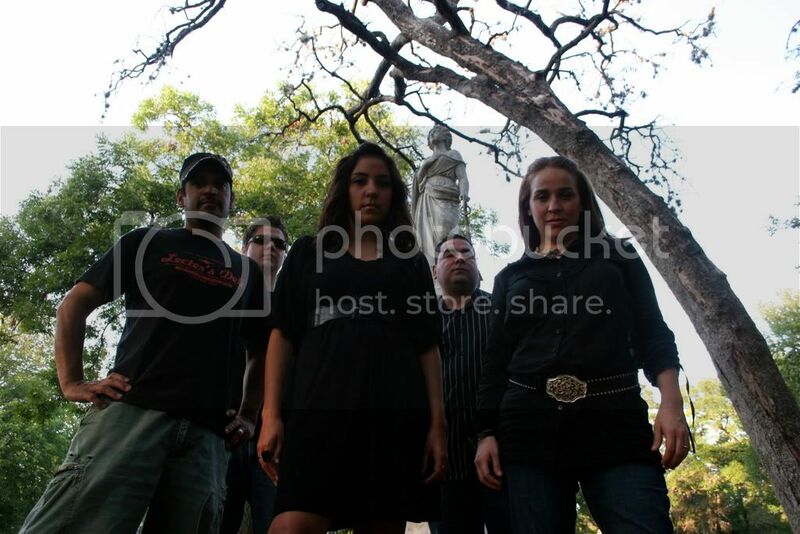 The band has solidified their position in the Austin scene with their new album. In fact, when constructing their songs, Tanya says, they all put their stamp on the music. As far as outlook on life, the song, “Creation,” comes back to the whole witch theme Tanya wanted to album to be. The song centers around a woman who discovers she’s a witch. In her personal life, Tanya sums up her outlook. As our conversation winds down, the topic of family comes up. She let’s me know that two hours before, her 58-year-old uncle Juan Solis has passed away from a heart attack. She’d like to mention him as he was there to support the band at their October CD release party. Even in a moment like this, Tanya says she can tell a difference on her outlook on life.